Let the sun shine on the blossoms. Hiro (Kyoto, Japan) on 16 April 2012 in Architecture. 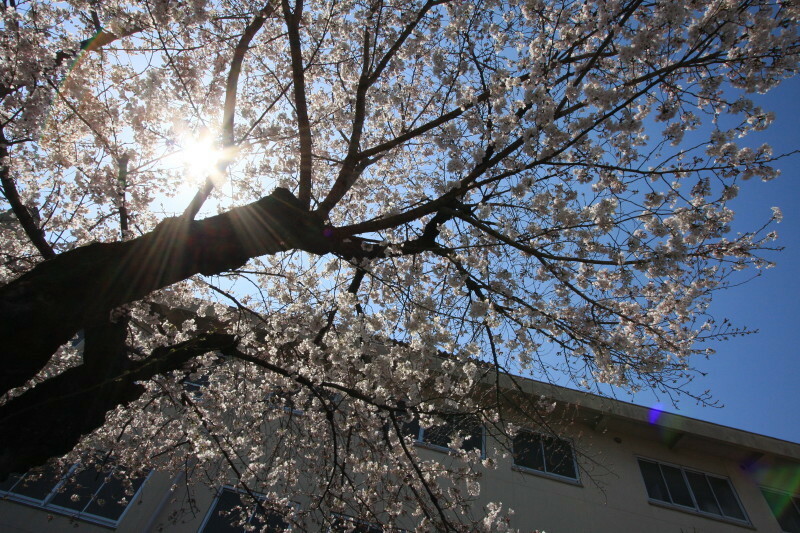 Let the sun shine on the school building and the cherry blossoms. quel rayonnement de ce beau soleil au travers des branche tout en fleur. Let the sun shine in!! Great and well framed! Magnificent capture of the sun, splendid shot. Good day. Can you send the sun to the west ? Superb angle of view! Beautiful light! Love the way you've captured the sun through the branches Hiro, beautiful! un superbe soleil au zénith à travers le feuillage fleuri de ce bel arbre. Very nice perspective of this beautiful blooming cherry blossom tree! Lovely sun rays! Beautiful framed image and wonderful sunlight !!! Beautiful perspective...excellent capture of the sunrays! Nice capture of the light through the tree. The angle is great!